Need a classy hairstyle for your Holiday parties? You’ve come to the right place. 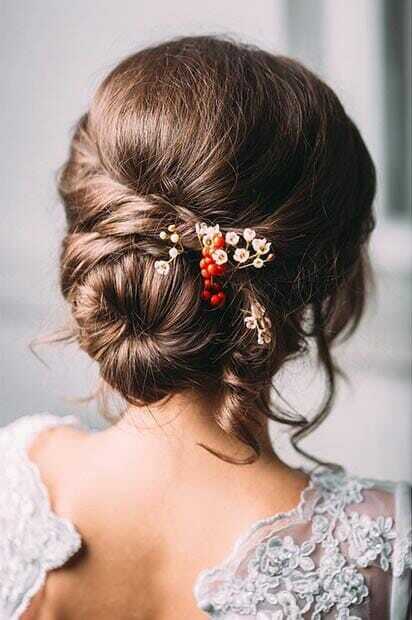 We love classy & elegant hairstyles especially for the Holidays! It’s always fun to get all dolled up, but who wants to deal with having your hair flying everywhere or getting accidentally dunked in your drink. Let’s make this Holiday easy on you and wear your hair in a cute low bun to keep it out of your way and free of worry! Some of our favorites can take just a few minutes to put together and others may take a little bit longer, but the end result is going to be the same. You’re going to be left with an elegant low bun hairstyle that will make you look classy and on point for any occasion. One of our favorites is a messy curled bun. All you have to do is curl your hair, put it all into a pony tail and start pinning up strands of your hair with bobby pins! The ponytail plus the bobby pins will keep it in place all night long. Our next favorite is adding a few accents to your bun. Try braiding back to smaller braids on the side and tease the top a little bit to get more volume. Then simply gather all of your hair up, put it into a ponytail and wrap it around and secure the end in with a few bobby pins. If you want something thats a little less messy and a little more together. Try fishtail braiding from the top of your head and continue down the side until you have braided it to the ends of your hair. Tie this braid off with a small clear plastic hair tie. Then twist the braid around to create a low side bun! This one is another quick and easy style. All you have to do is set aside a small portion of hair & braid it from the back all the way to the ends. 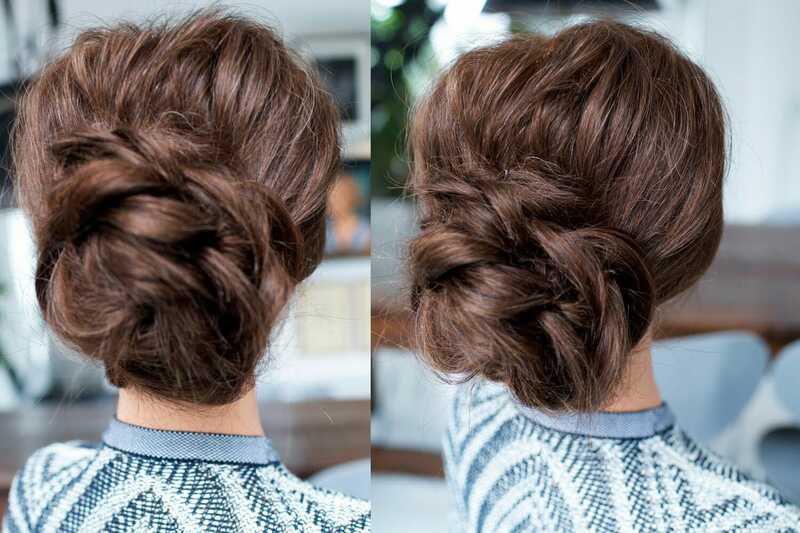 Take the rest of your hair and create a sock bun, while leaving out the braid from the mix. Once you have perfected the sock bun, grab the braid thats still hanging out and wrap it around the base of the bun to create the perfect added accent to complete the look! Last, but not the least…to create this hair style, split your hair into three sections. Take the middle section and make a sock bun. Take one of the side sections and twist it first and then wrap it around the sock bun. Do the same with the other side, but wrap it in the opposite direction around the bun as you did the other side. Finish it off with a little flower or two as an accessory! 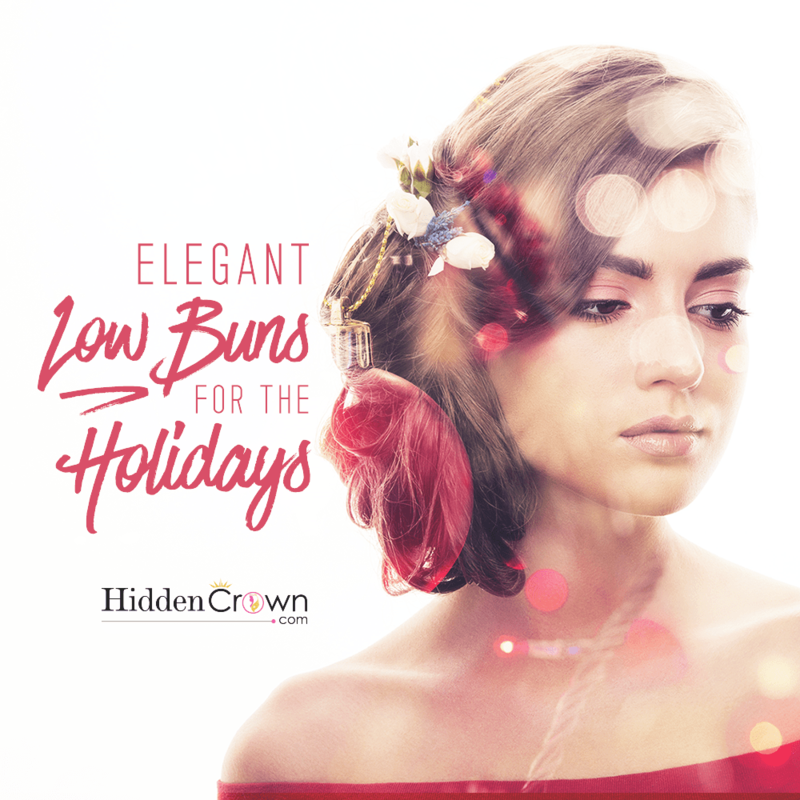 Don’t forget to send us in photos of you trying out these elegant low buns for the Holidays!